The process of making true extra-virgin olive oil (EVOO) includes harvesting the fruit (olive) and within a few hours crush the olives in a malaxar. Gentle heat is applied (60-85 degrees Fahrenheit) to produce the oil of the fruit (EVOO). Olive oils can be characterized based on their acidity. “Extra” virgin olive oil has less than 0.8% free fatty acids (FFA) as compared to “Virgin” olive oil which can contain as much as 2% FFA. Extra-virgin olive oil is also the most refined in flavor and contains the highest level of antioxidants/anti-inflammatories (Biophenols). Antioxidants have not only been shown to have enormous health benefits, but they also protect the EVOO from quickly oxidizing resulting in the EVOO becoming rancid. Our ultra-premium EVOOs are also rich in oleic acid and Diacylglycerol (DAGs) both of which are important for a healthy lifestyle. WHAT IS EXTRA VIRGIN OLIVE OIL LAB TESTING? First and foremost you do not have to be an Organic chemist to understand an olive oil chemistry profile. At the most basic level, knowledge of a specific EVOO’s chemistry profile helps the consumer distinguish the World’s finest Extra-Virgin Olive Oils from a poorly made and/or adulterated olive oil. An Extra-Virgin Olive Oil chemistry profile is nothing more than data collected at the time of olive crush. This data is used to help level the playing-field when deciding upon which EVOO to purchase. Behind the scenes this invaluable data tells the consumer about FRESHNESS & PURITY (Crush Date, Peroxide, DAGs, PPP, Oleic Acid content). The data also highlights important health information such as antioxidant/anti-inflammatory power (Biophenols), and monounsaturated fat content (Oleic Acid). Determination of smoke points can also be derived (FFA & Biophenol content). 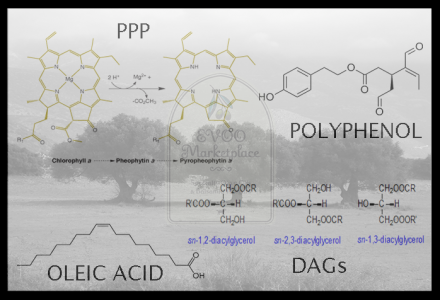 Understanding olive oil chemistry profiles is such an important topic that we have dedicated an entire page to this subject. WHAT IS AUTHENTIC BALSAMIC VINEGAR? True aged traditional balsamic vinegar (aceto balsamico tradizionale) production involves the reductive fermentation process of converting caramelized grape juice, called “Must”, into a syrup-like sweet yet tart vinegar. Grapes used in this process are traditionally White Trebbiano or Red Lambrusco grapes. Traditional methods require the aceto balsamico to be aged for at least 12 years in “old” wood barrels made of various hardwoods. Typical woods used for the aging process include; oak, chestnut, mulberry, ash, juniper, acacia, and cherry. It is important to note that nothing is added to the caramelized Must as it ages. As the aceto balsamico ages (12, 18, 25 years) the volume is reduced through evaporation resulting in a concentrated solution. As the grape Must commences aging a harmless bacterium is added (acetobacter) which pushes the solution down the acetic fermentation pathway. At the end of the aging process the aceto balsamico tradizionale is presented to two Italian consortiums in Modena, Italy or Reggio Emilia, Italy for inspection and certification. If the aceto balsamico passes inspection it is filled into 100ml bottles dictated by the Italian consortium, numbered and wax-sealed. Average cost for a 100ml bottle of aceto balsamico tradizionale can range between $200-$500/bottle. Practical cooking applications for Traditional balsamico are somewhat limited by it’s thickness and cost. 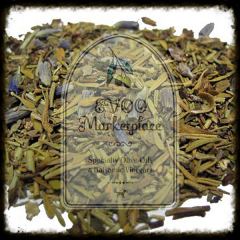 EVOO Marketplace can obtain these precious aceto balsamicos. Please inquire about availability and pricing. EVOO Marketplace offers a full line of aged and flavor-infused balsamic condimentos at a fraction of the price ($16.95-$21.95/375ml). All of our balsamic condimentos are produced in Modena, Italy and follow the strict traditional method with three variations; 1. The master barrel is inoculated with a small amount of ultra-premium Red wine vinegar (instead of acetobacter). The addition of Red wine vinegar introduces natural acetic bacteria which stimulates vinegar production. No other additions occur throughout the aging process. 2. As the balsamico ages it is transferred into sequential barrels of smaller size but unlike the Traditional method it is topped off with a small amount of younger balsamico. Topping off with younger balsamico is referred to as the “Solera method” 3. Lastly, these production batches do not undergo the stringent testing by the Italian consortium. It is important to note that like extra-virgin olive oil many of the store-bought “balsamic” vinegars are adulterated with distilled vinegar, thickening & sweenting agents (molasses, corn syrup, guar gum), artificial coloring, artificial flavoring, sulfites, and sodium. We welcome you to taste the difference! 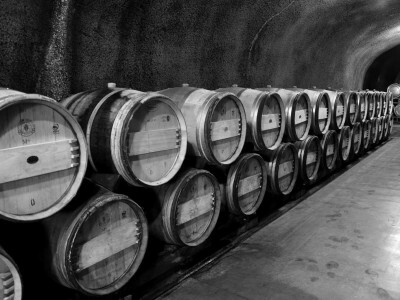 BARREL AGE VS BALSAMIC AGE HOW DOES IT DIFFER? The age of a balsamic is exactly that; how long the cooked grape must has been aged in wood casks. Please do not confuse this with the slight of hand marketing terms referring to the age of the wood barrels. Yes the label may say “Barrel Aged” but the real question is how long? We have recently seen product descriptions stating the “balsamic” was aged in 25, 50, 100 year-old wood barrels. This does NOT mean the balsamic is 25, 50, 100 years of age. Unless you are interested in consuming the wood, the age of the barrel is meaningless. All true barrel aged Italian balsamic vinegars are aged in a battery of conditioned wood casks. Viscosity of 12 year-aged balsamic should be very similar to water. Viscosity of 18 year-aged balsamic should be similar to olive oil (lightly coat the sides of a cup), but not thick like Hershey’s chocolate syrup. Take home message: One can age grape must in 1000 year-old wood barrels for 2 days but the end result is still a 2 day-old grape juice and NOT a 1000 year-old balsamic vinegar. WHAT IS "WHITE" BALSAMIC VINEGAR? Same process as the Solera method above except two key changes. 1. The grape must is not caramelized and 2. The grape “must” is aged in “new wood” and not previously used (“old wood”) aceto balsamico barrels. WHEN DOES THE FLAVOR INFUSION PROCESS BEGIN? Flavor-infusion for our balsamic vinegars occurs after the aging process. EVOO Marketplace’s balsamic condimentos are flavor-infused with ONLY all natural, ORGANIC ingredients. Our olive oils are flavor-infused shortly after the EVOO production. ARE YOUR OLIVE OILS & BALSAMIC VINEGARS GLUTEN FREE? Yes, all of our EVOOs and Balsamic Vinegars are Gluten free and produced in Gluten free facilities. OH NO, MY CORK IS STUCK OR BROKEN-WHAT SHOULD I DO? First and most importantly don’t panic, it will be ok. We like to use the phrase “Balsamic + Cork + Glass = Glue” We bottle all products in-store and use natural corks to seal off the bottles. By nature, balsamics contain small amounts of sugar from the grapes and therefore may become sticky. Simple cork maintenance is especially important to prevent sticking and/or breaking. Please follow these simple tips when reseating the cork after use: 1. Rinse cork off with warm water and wipe dry between uses, 2. Do NOT push cork all the way back into bottle, 3. Wiggle cork back and forth to insert or remove from bottle, 4. Use a cork alternative such as a pouring spout (eliminates the need to remove cork during each application). Don’t panic, if the cork becomes stuck just use a corkscrew to remove just as you would do with a wine cork. IF CORK FALLS INTO MY OLIVE OIL OR BALSAMIC IS IT RUINED? No, no, no your balsamic is perfectly fine! If it is aesthetically unpleasing then just use a strainer to remove the trace amount of cork. As for cork ruining wine, well we don’t sell wine so no official comment but chances are any “cork taint” of wine is not because of the cork but rather from a poor wine production. What we can tell you is that cork in your balsamic will not ruin it! Please read the section above on proper cork maintenance to avoid getting cork in your balsamic. Bottom line is that if an “EVOO” does not contain a Harvest/Crush Date along with a full lab testing profile the consumer has NO idea of the purity, freshness, quality, or healthfulness of that specific “EVOO”. Check out this recent University of California-Davis study of highly marketed grocery store brands such as Bertolli, Filippo Berio, Pompeian, Rachael Ray, Costco (Kirkland), Whole Foods (365), Newman’s Own Organics, Colavita, Star and many others. How did they do, did they PASS?? WHAT ARE THE HEALTH BENEFITS OF FRESH & PURE EXTRA VIRGIN OLIVE OIL? The health benefits of a daily diet including FRESH, PURE extra-virgin olive oil are wide-ranging and the basis for the Mediterranean Diet. High quality EVOO is rich in monounsaturated fat (a type of “good” fat ) and loaded with Biophenols which impart both antioxidant and anti-inflammatory effects. A significant amount of research has been conducted on the benefits of antioxidants in one’s daily diet and many studies have shown links to reducing the risk of Cancer, Cardiovascular disease, and other ailments. An interesting side note-the Mediterranean region has one of the lowest cancer incidence rates in the World. They must be doing something right. HOW SHOULD EXTRA VIRGIN OLIVE OIL & BARREL AGED BALSAMICS BE STORED? Factors that influence how quickly an EVOO breaks down and becomes rancid include exposure to air, light, and heat. The best storage condition is in a dark bottle in a cool, dry place. All of our products are bottled and sold in light protected bottles. Storing EVOO in the refrigerator is NOT recommended as the EVOO will go back-and-forth through solidification phases resulting in the EVOO breaking down quicker. With that in-mind long term storage in a refrigerator is OK.
WHAT IS THE SHELF-LIFE OF EXTRA VIRGIN OLIVE OIL & BARREL AGED BALSAMICS? Our EVOOs, if stored properly, maintain freshness for up to 18 months. Our Barrel Aged Italian Balsamics are good for an indefinite amount of time as they are already aged at least 12 years. WHAT IS THE DIFFERENCE BETWEEN FLAVOR "FUSED" & "INFUSED" OLIVE OILS & BARREL AGED BALSAMICS? 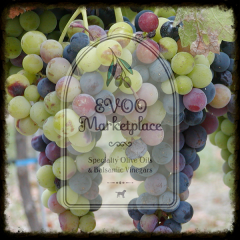 EVOO Marketplace offers the finest flavor fused (agrumato) and flavor infused Olive Oils and Balsamic vinegars. It is important to note that all of our flavor fused and infused olive oils start from an extra-virgin olive oil base. After the addition of an all natural ingredient one can no longer technically call that product an EVOO but rather should be referred to as an Olive Oil. Our flavor-fused Olive Oils; Blood Orange, Green Chili, Rosemary and Eureka Lemon olives are crushed together with the whole fruit, herb, or chili, hence fusing. Our flavor infused Olive Oils and Balsamics undergo a proprietary blending process after the Olive Oil or Balsamic is produced. Our products contain only all-natural, ORGANIC ingredients. Beware of flavor infused Olive Oils which show the presence of particulate matter (garlic, rosemary, etc) found in your typical grocery store. Once opened these products may quickly become rancid. We also discourage our customers from making their own “infusions” because of potential bacterial contamination and subsequent rancidity. In general, YES, but we recommend that you watch the oil as it heats to prevent smoking. Stove-top BTUs along with pot/pan quality are highly variable from kitchen to kitchen and therefore influence the burning potential. Our high quality EVOO’s have approximate smoke points between 400-425F. Overall we recommend more robust EVOO’s rich in Biophenols with low free-fatty acid content as these impart a protective effect while maintaining the flavor profile after heating. How about NOT! We will let you do the research but in our opinion the jury is still out on any health related benefits of coconut oil. As a biochemist for many years, published evidence in a high-impact peer reviewed scientific journal is lacking. Yes, coconut oil may contain some healthy short-chain fatty acids but our body does not separate the good components from bad when ingesting. FRESH, high quality extra virgin olive are loaded with monounsaturated fat (MUFA’s) content. MUFA’s are healthy fats required for cell health and integrity of cell membranes. FRESH, PURE, HIGH QUALITY EVOO is also loaded with antioxidants which help protect from cellular damage. Compare this to coconut oil which is a saturated fat and solid at room temperature. Furthermore, any of the so-called health benefits found in coconut oil are also found in FRESH extra-virgin olive oil. You be the judge! IS EVOO MARKETPLACE ASSOCIATED WITH RACHAEL RAY? Nope, although Rachael Ray is very influential in the home cooking scene, we at EVOO Marketplace have no affiliation with her or her business entity. 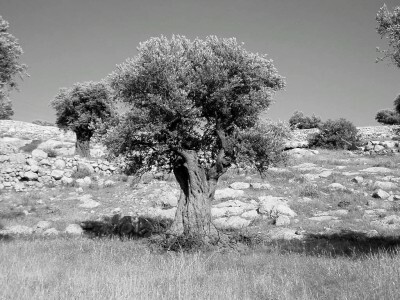 The use of the “EVOO” acronym merely reflects exactly what we offer: Extra-Virgin Olive Oil. EVOO Marketplace is owner-operated and specializes in educating the public by providing an interactive tasting experience unlike any other in Colorado. 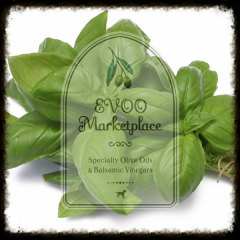 IS EVOO MARKETPLACE AFFILIATED WITH SULTAN'S EVOO MARKET IN FT. LAUDERDALE? Emphatically, NO!! 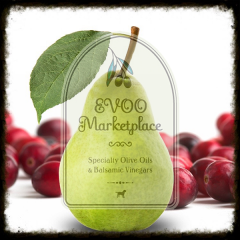 EVOO Marketplace offers only 100% pure and fresh extra-virgin olive oils. 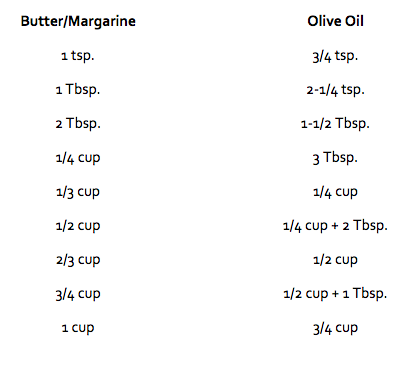 Our olive oils are NOT diluted/cut with any other type(s) of oils such as canola. In the same fashion, our Balsamic Vinegars are aged to the Italian standard of at least 12 years and do NOT contain additives such as corn syrup, molasses or sodium. History with EVOO Market: The original name of “Sultan’s EVOO Market” was “EVOO Market” and was an intentional attempt to copy our store concept and confuse customers. Sultan went as far as to copy photos from our website, which were original shots of EVOO Marketplace-Denver, and post on his store web page. When approached by EVOO Marketplace about the legal consequences, Sultan changed his store name to “Sultan’s EVOO Market” and removed our original photos. Long story short, this is just one of many stores that have copied our original Colorado concept and offer in our opinion imposter products. 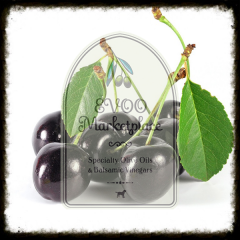 Don’t be fooled, shop with confidence at EVOO Marketplace-Colorado’s Original.